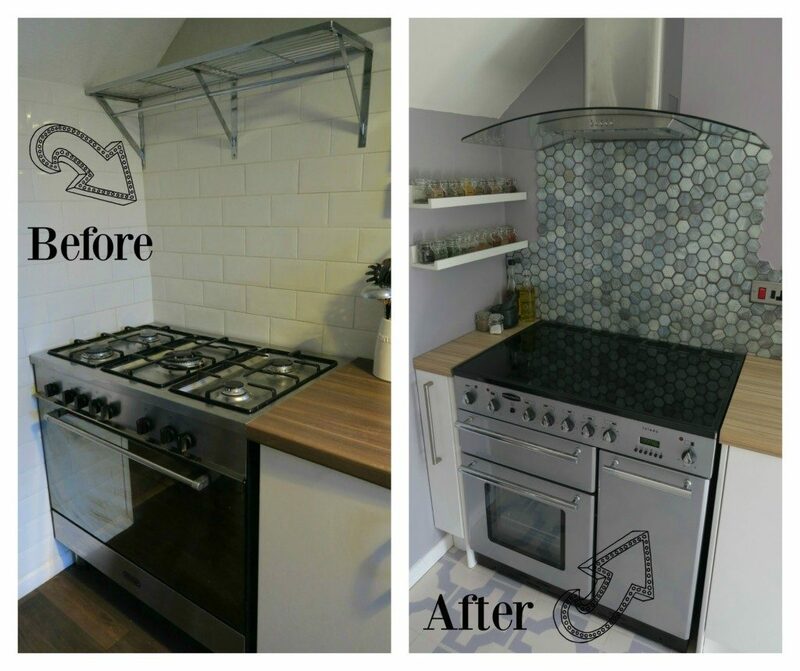 When we were designing our kitchen renovation, I struggled to decide what tiles to go with. I wanted something different, something that people would look up at and push the boundaries a bit more! 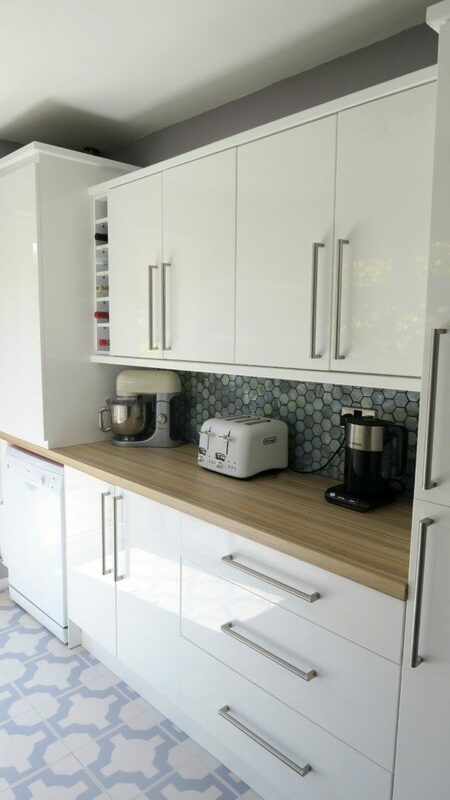 When we quickly freshened up our kitchen 3 years ago, I went for plain metro style tiles. Absolutely nothing wrong with these, they look great in any kitchen and I have no issues with them. However this time I’m doing something different. I took a visit to my local tile shop to have a look around, it’s a minefield! However look what I spotted……. 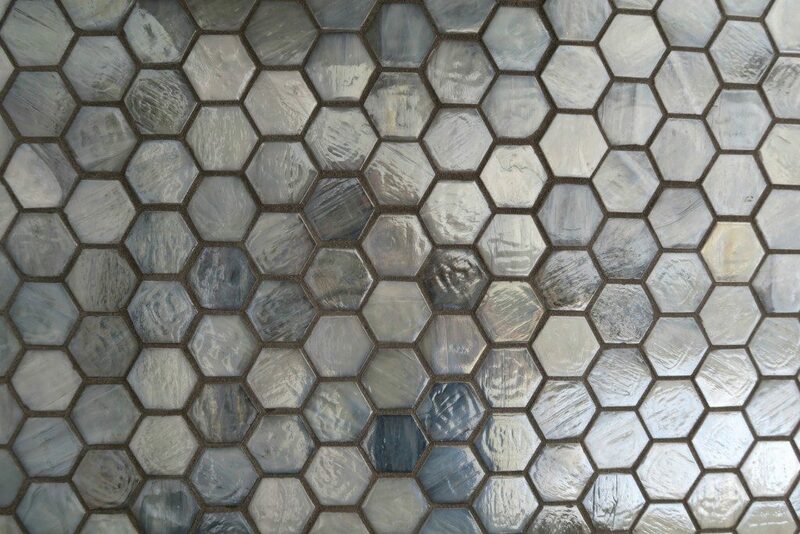 These are called, Genau Glass Mosaic Tiles from Original Style, how beautiful are they. They are made from glass, which we have never used before, so I couldn’t wait to get them up on the wall to see what they would look like. So out went the old and in came the new! 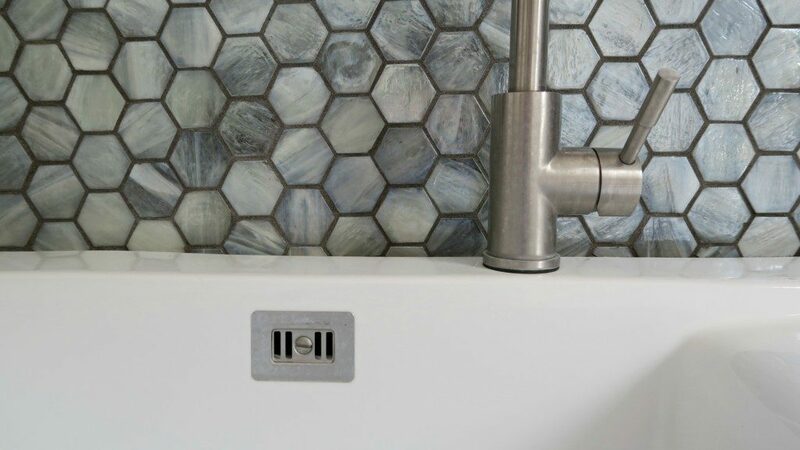 As you can see, we went for grey grout instead of the standard white. The reason for this was, as soon as I placed the tiles on a white background it washed all those beautiful colours out. I wanted to pick out the greys and detail in the tiles but white adhesive underneath seemed to get rid of them. 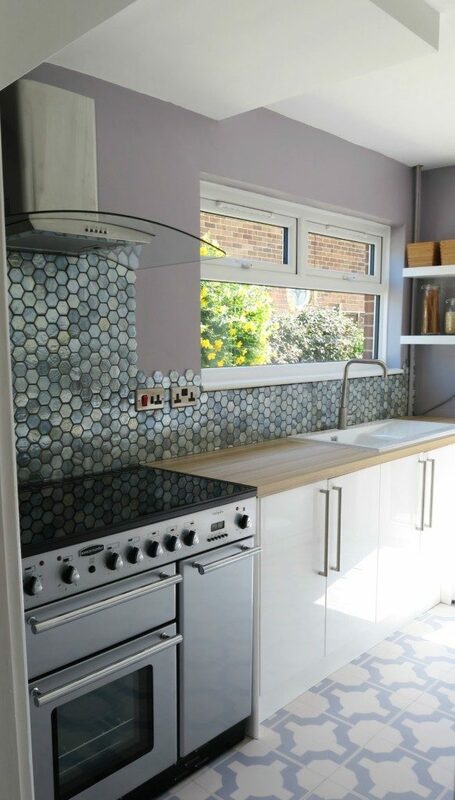 I am so pleased with these tiles, I love the shimmery look to them, the colours, the shape and also how quick and easy they were to put up. They are placed on a netting, and come in 30cm x 30cm sheets, so this makes it quicker. 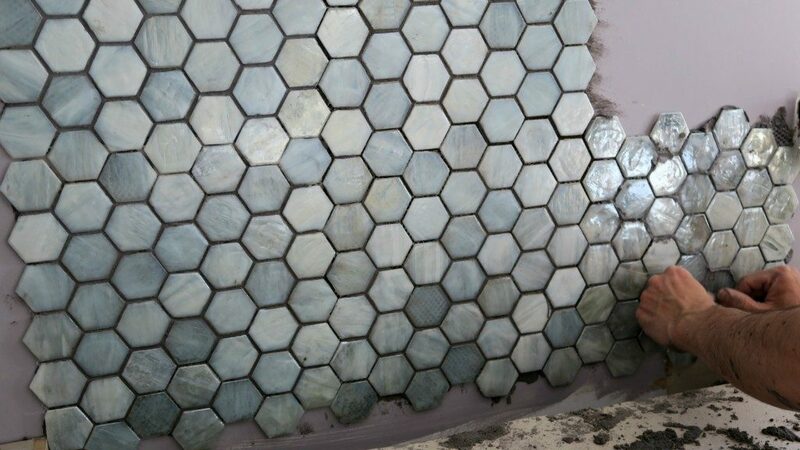 As these tiles are placed on netting, sometimes you can see the white netting through the glass tile. This may have been different if we had used white adhesive. Although as you can see from the picture above, it really doesn’t show. 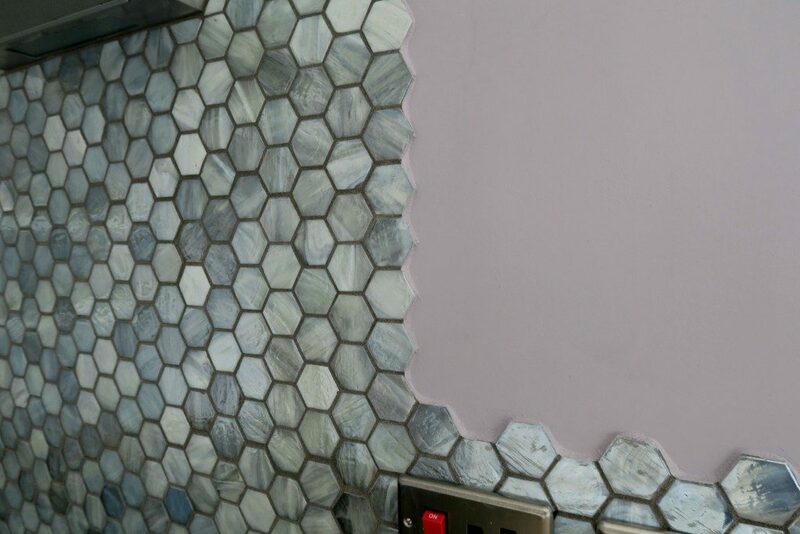 We also kept the shape of the tiles as edging, we could have placed a edging to them which would have looked nice and tidy, but I liked the idea of making a point of the shape and using it as an edging. 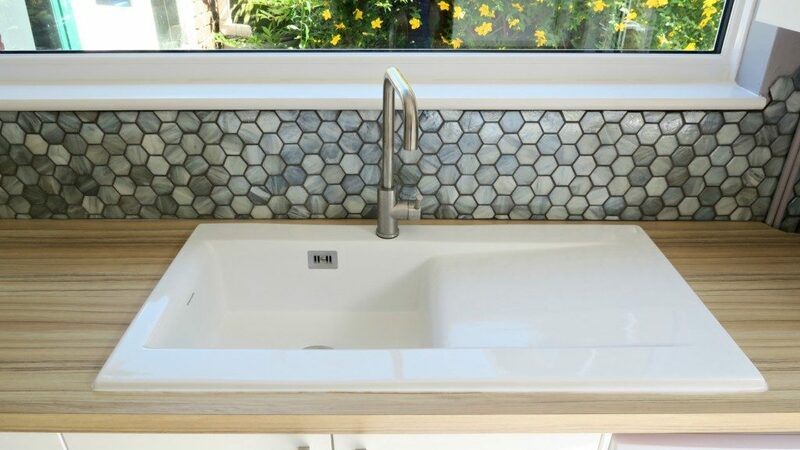 I hope you like these Genau glass mosaic tiles as much as me, they really do give it the wow factor and a talking point! 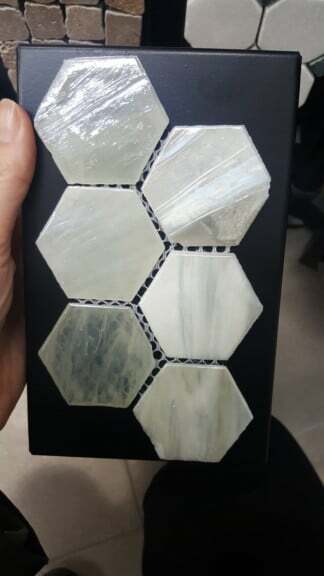 Priced at £169.95 per m2, they are top quality tiles and you will not be disappointed. To cover this size of kitchen we needed 3.2sqm. Here is a before and after shot, I love seeing these and seeing how far we have come with it and how different it is. 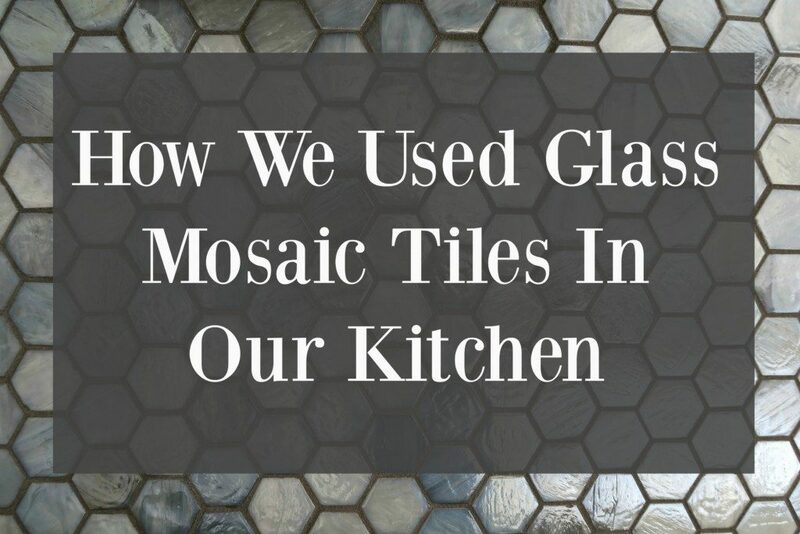 *I was giving a discount on the purchase of these Genau glass mosaic tiles, in return for featuring on my blog. However all words are honest and of my own. Oh wow!! You really did succeed in your challenge of finding something eye catching. 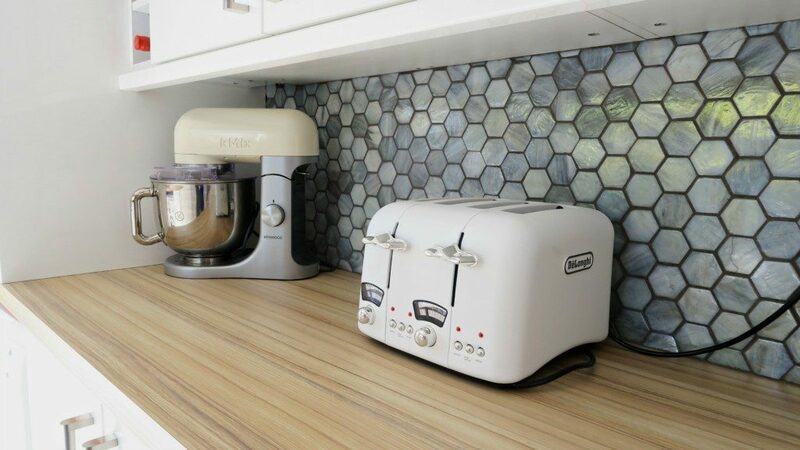 These are amazing and make your kitchen look so unique! 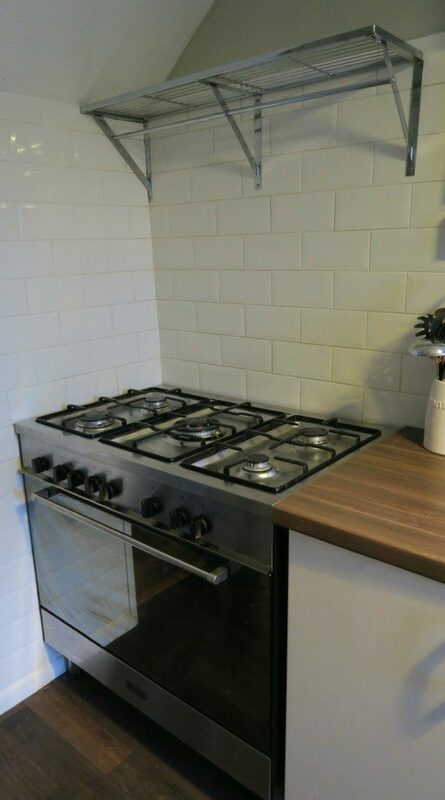 I loved the tiles when I saw them in your kitchen post. Such an unusual shape compared to most you see. I love the style of them! I love those – they look gorgeous and just that little bit different ! !